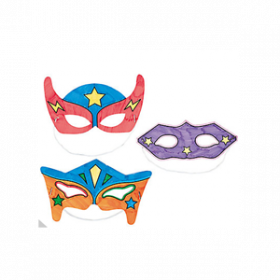 Ignite their imaginations with these assorted foam superhero masks. 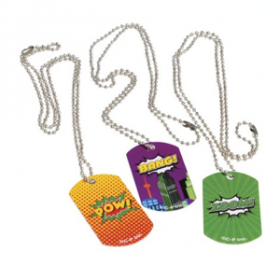 Give them a unique gift with these superhero-themed dog tags. 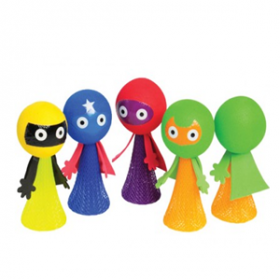 Watch these superhero hippity hoppers spring into action! 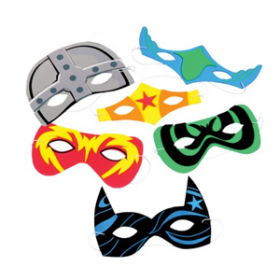 Unleash your inner superhero to be the first to conquer the maze! 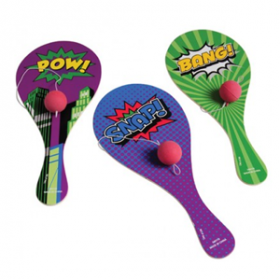 Contains 1 dozen paddle balls. 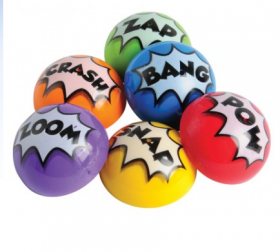 Add some serious "punch" to your party favor assortment with these superhero-themed punch balls! 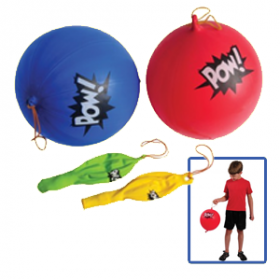 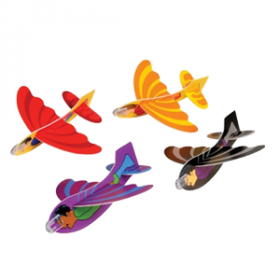 Each balloon comes with its own attached rubber band and a fun pop art imprint of the word "Pow" for added effect. 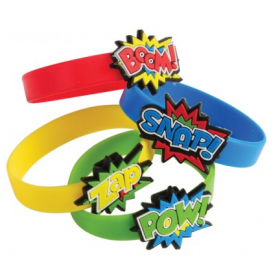 Made of latex with rubber band handles 4 assorted colors U.S.
Transform your party guests into their own superhero with these superhero-themed Rubber Bracelets Contains 1 dozen rings. 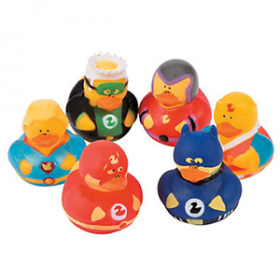 Bracelet size: 2 1/2" Diam (unstretched); Charm size: 1 1/4" L.
These vinyl duckies are ready for action! 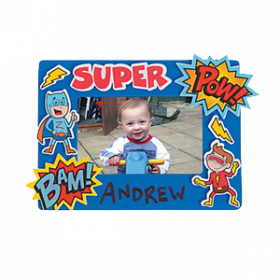 Everyone loves a superhero! 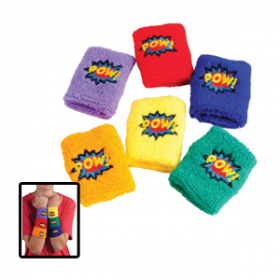 Contains 1 dozen superheroes duckies. 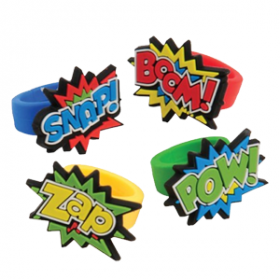 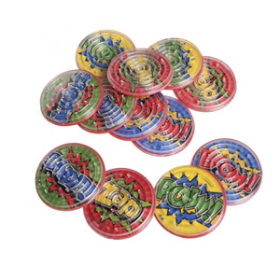 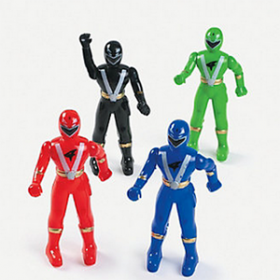 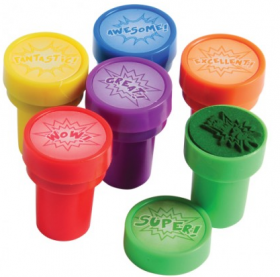 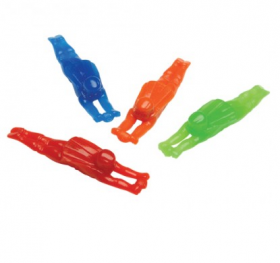 Transform your party guests into their own superhero with these superhero-themed rubber rings! 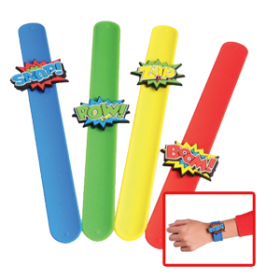 Save the world and be trendy with these superhero-themed slap bracelets! 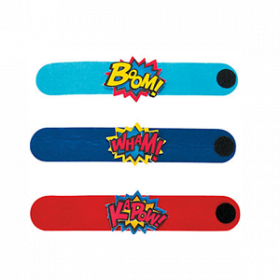 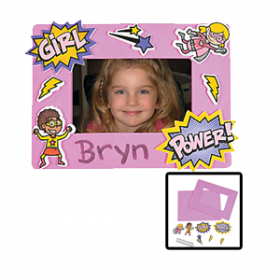 Your little superhero's costume will "pop" with color when you add these superhero-themed wristbands.